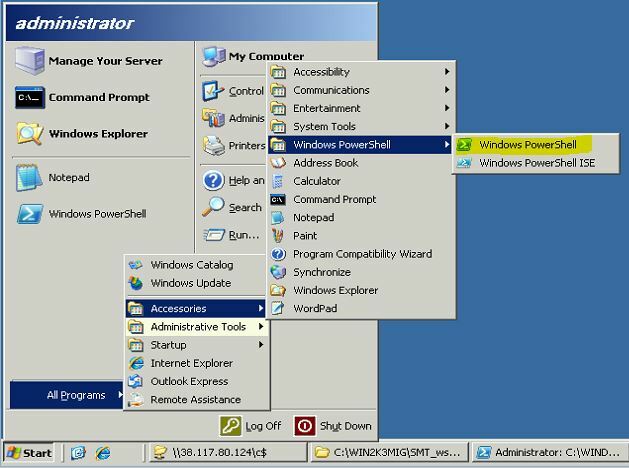 Microsoft has already announced that windows server 2003 / windows server 2003 R2 versions support is coming to end in 14th July 2015 (http://support2.microsoft.com/lifecycle/search/default.aspx?sort=PN&alpha=Microsoft+Windows+Server+2003&Filter=FilterNO ). 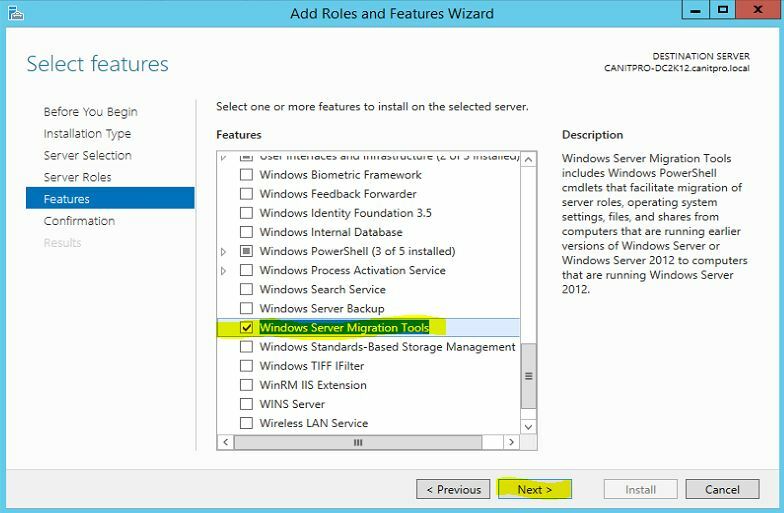 It’s no wonder that still organizations using windows server 2003 / windows server 2003 R2 in their infrastructure with different server roles. 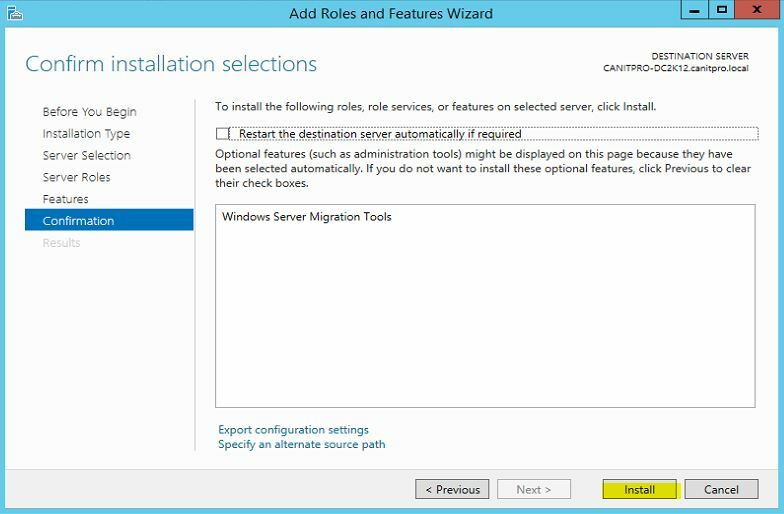 With windows server 2008 R2 Microsoft has introduce new great feature called “Windows Server Migration Tools” which will allow administrators to migrate server roles, features, configuration settings seamlessly from one system to another(ex- windows server 2003). 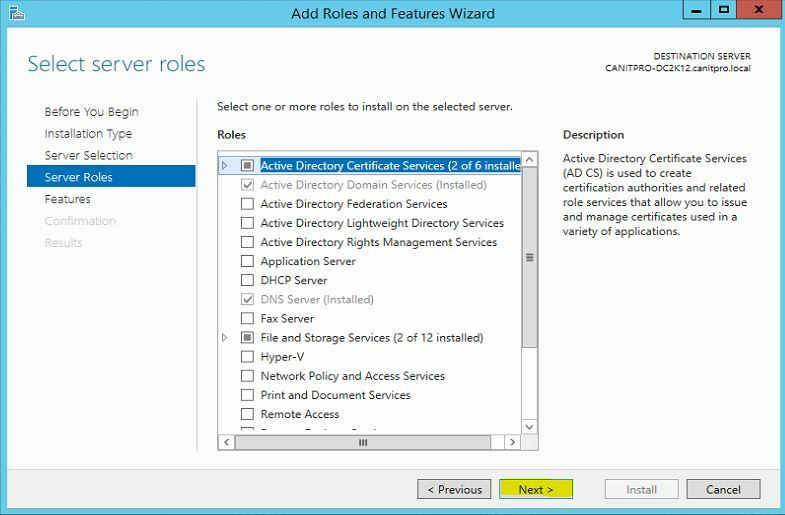 Windows server 2012 also includes this feature and in this article I will demonstrate how we can use it to migrate DHCP role to windows server 2012 r2. 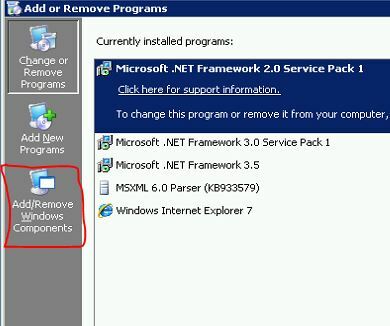 Please note, To use this method we need to install this feature in both source and destination servers. Before start the migration process it’s important to consider on following. 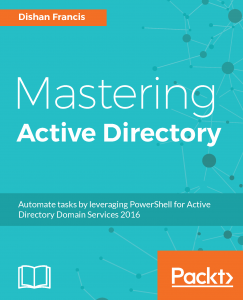 1) To migrate the roles you need to log in to source and destination servers as “Domain Administrators”. 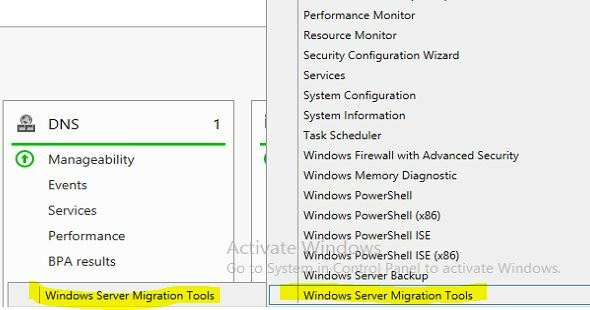 2) Before start the migration process make sure source and destination servers’ runs with latest updates and service packs. 3) If the source server runs with multiple network, multiple NIC make sure the destination server also have same number of NIC so it can be server with same network setup. dhcp-2k3.canitpro.local server currently setup with 3 additional NIC to represent network A,B and C. those have configured with static ip addresses to match with relevant network it belongs to. The DHCP server host different DHCP scopes for each network. 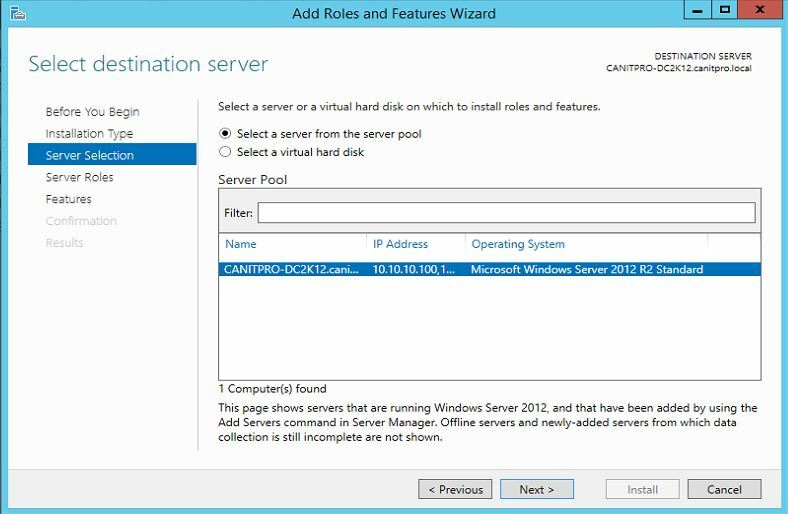 Before we start the process we need to install the following software in windows server 2003(dhcp-2k3.canitpro.local) if it’s not there already. 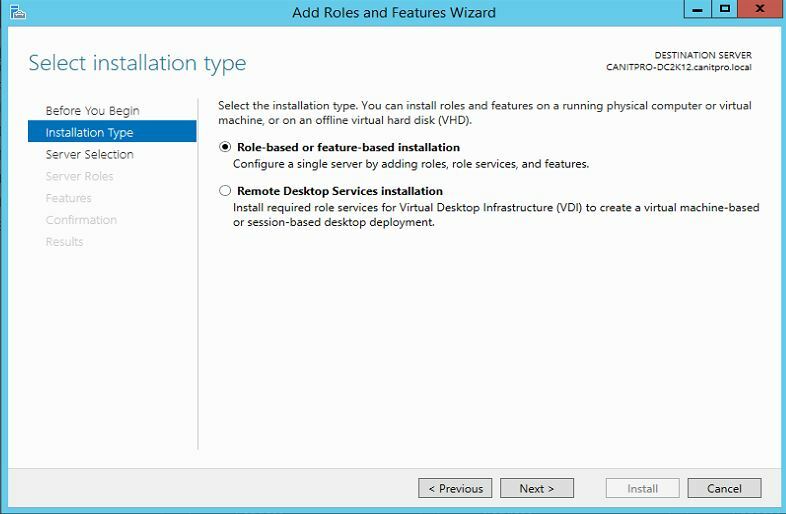 6) Then it will give option to select server roles but we need to install only a feature. So keep the default selection and click next to continue. 7) Now it’s time export the DHCP data using the tool. 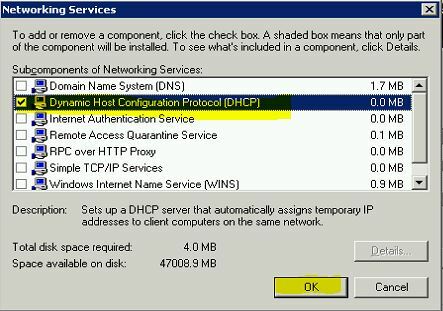 Before do it we need to prepare a share folder in network which will have access from both DHCP Source Server and DHCP Destination Server. 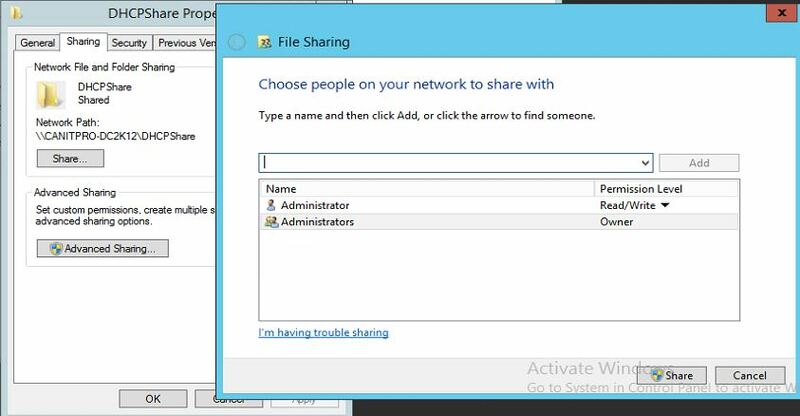 I have create folder called “DHCPShare” in windows server 2012 and share it with read and write NTFS permissions. 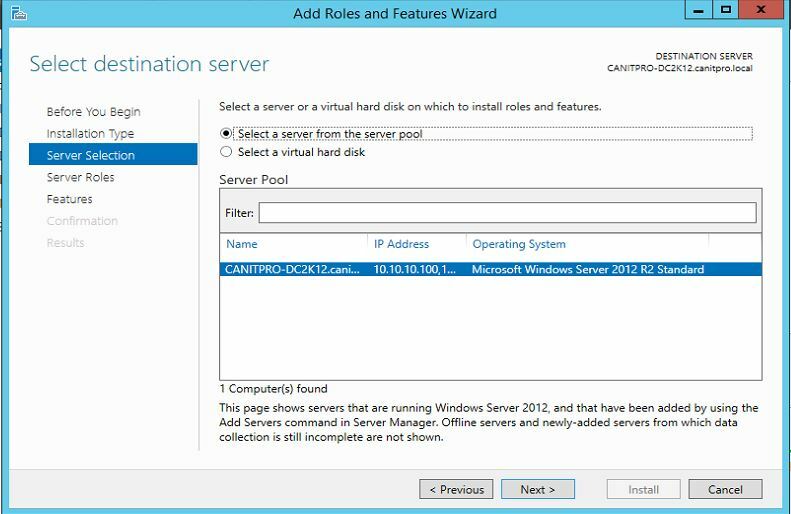 8) Type the command Export-SmigServerSetting -featureID DHCP -User All -Group -path \\Canitpro-dc2k12\DHCPShare -Verbose and press enter to export the DHCP data. 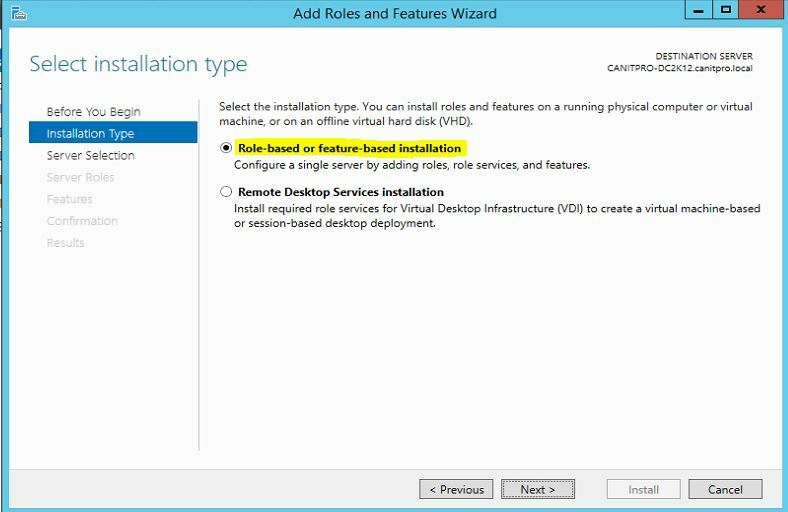 In here featureID define the server role. Once enter the command it will ask a password to protect the data. 9) Now in the share we can see it created the backup file. With this step it will successfully exports the DHCP data. 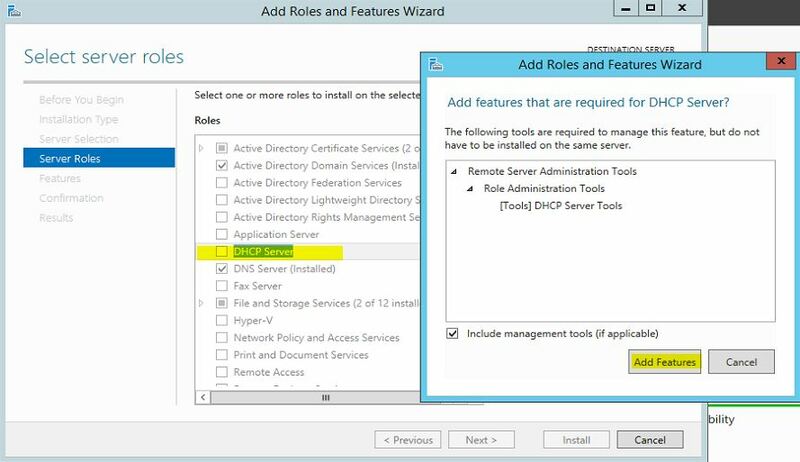 Since we no longer need DHCP role running on this server we can go ahead and uninstall the DHCP service. 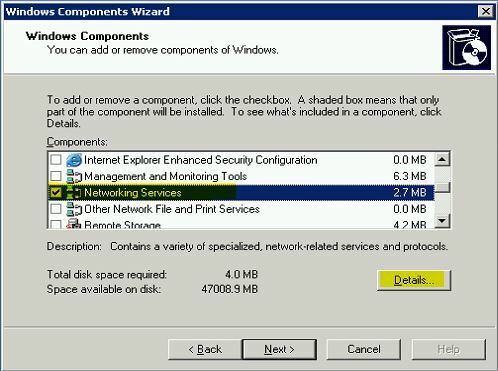 It will uninstall the DHCP role from the windows 2003 server. 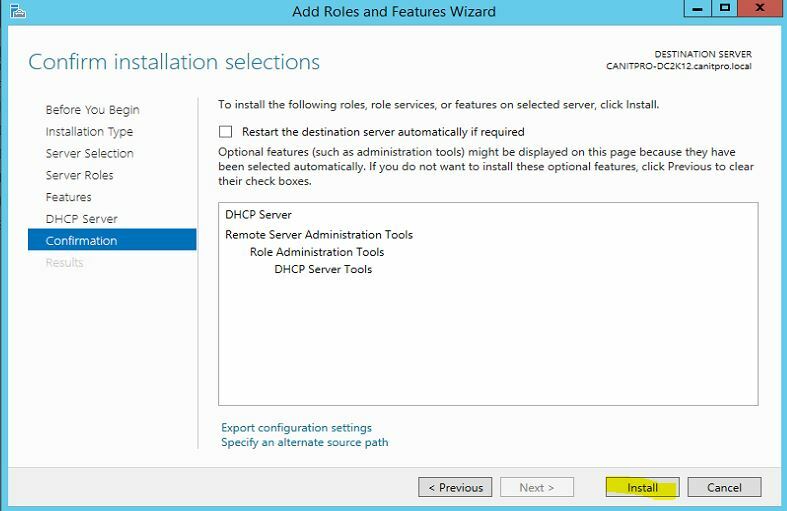 This will install the DHCP server role in the new server. 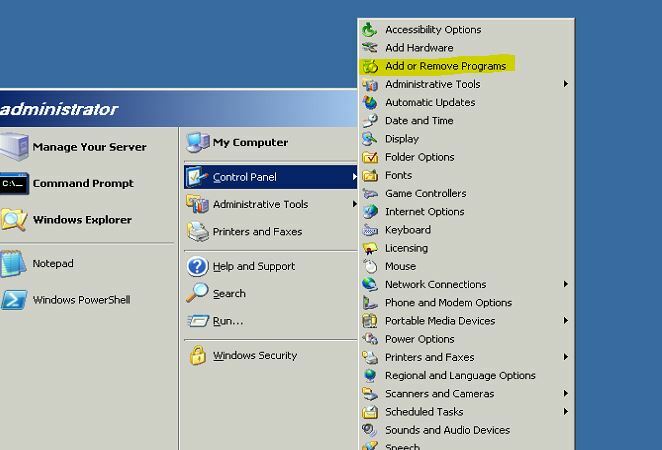 4) Then type Add-PSSnapin microsoft.windows.servermanager.migration and press enter to use the migration tools command set. 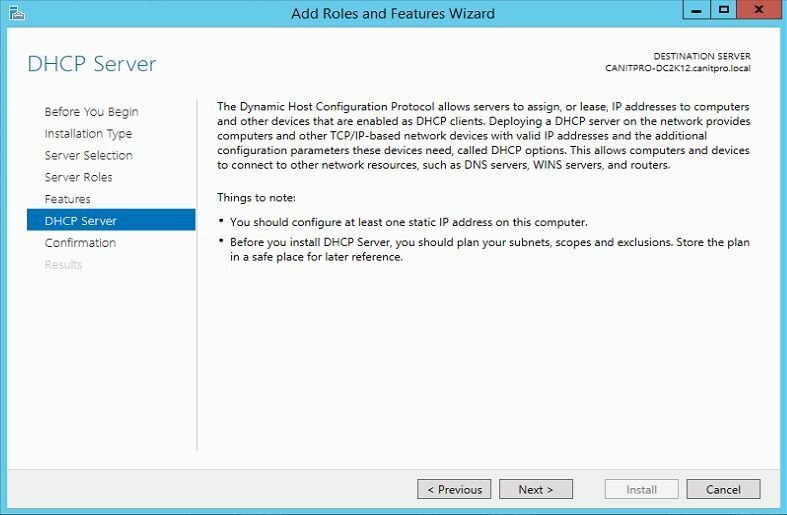 5) Now to import DHCP data type Import-SmigServerSetting -featureID DHCP -Force -path C:\DHCPShare -Verbose (Note: Here I didn’t import the users or groups as its domain controller I am importing to but if necessary you can do it using –Users and Group command) and press enter. 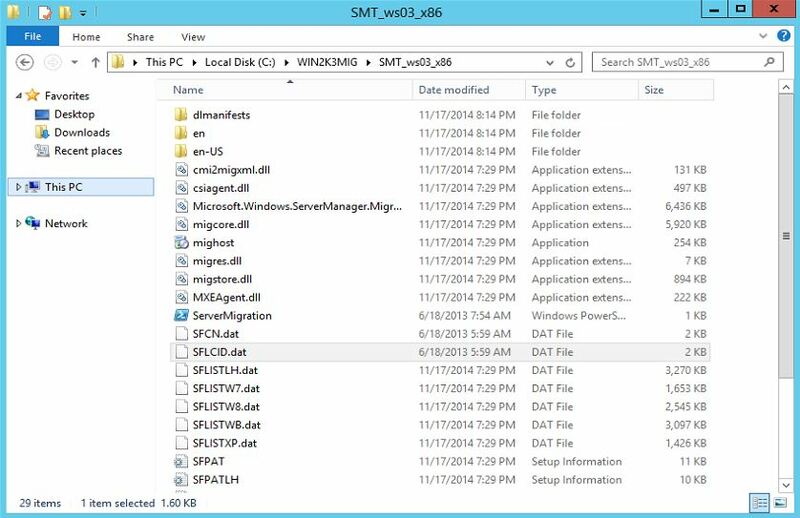 Here C:\DHCPShare is the folder path where we save the DHCP data from windows server 2003. It will ask the password to enter which we have define during the export DHCP server data process. Now we completed with the restore process and I already can see its issues IP addresses. How to enable universal group membership caching (UGMC)?